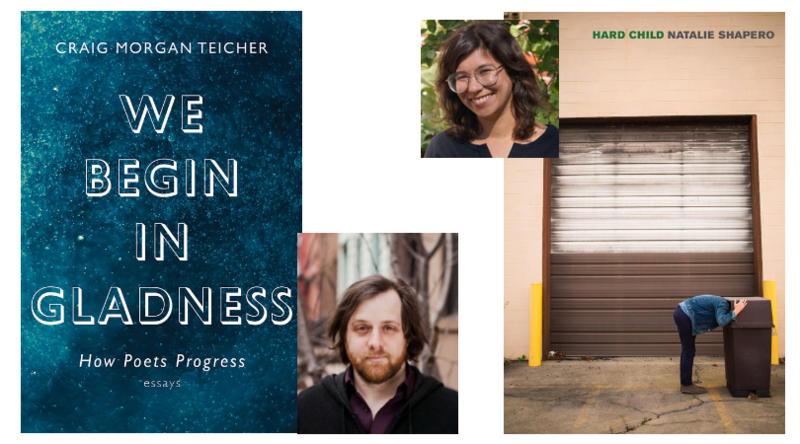 Craig Morgan Teicher is an acclaimed poet and critic. He is the author of three books of poetry, including The Trembling Answers, and regularly writes reviews for the Los Angeles Times, NPR, and The New York Times Book Review. He lives in New Jersey. Thought-provoking and sardonically expressive, Shapero is a self-proclaimed "hard child"--unafraid of directly addressing bleakness as she continually asks what it means to be human and to bring new life into the world. Hard Child is musical and argumentative, deadly serious yet tinged with self-parody, evoking the spirit of Plath while remaining entirely its own. Natalie Shapero has worked as a civil rights lawyer and is currently Professor of the Practice of Poetry at Tufts University. Her first poetry collection No Object was published in 2013, and her writing has appeared in The Believer, The New Republic, Poetry, and The Progressive. She lives in Massachusetts.